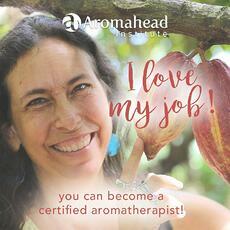 This month, the entire Aromahead team is excited about our webinar on how to become an expert in Aromatherapy! 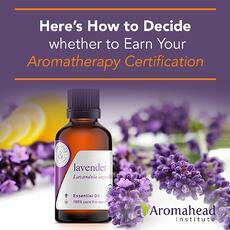 The webinar is about our Aromatherapy Certification Program online. If you’ve ever wondered what’s involved in becoming a Certified Aromatherapist, this free webinar is for you. It will answer all of your questions! Feedback like this is so heartwarming! Helping others earn Aromatherapy Certification is one of my favorite things about my work, which makes “webinar time” so exciting—so many people who are curious about becoming certified ask their questions, and a beautiful conversation begins. 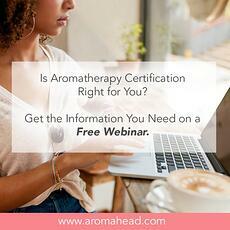 Becoming certified is an exciting step for both your personal and professional life, and Aromahead’s free webinar is a great way to learn more about this journey. Lavender and Spike Lavender are both excellent for soothing pain, with Spike Lavender being more energizing—it’s often used to soothe sore muscles during the day, when you want to keep moving instead of lying back to relax. Make this blend in a 1 oz (30 ml) glass roll-on bottle. Combine the ingredients, snap the roller top into place, and shake. When muscles feel tight and achy, roll on this blend and Massage away. It works great when you have a cramp or strain! You can learn more about the chemistry of these two Lavenders on the free webinar, “How to Become a Certified Aromatherapist.” (Since the Aromatherapy Certification Program at Aromahead includes lessons on essential oil chemistry, I thought it would be fun to share a little chemistry in the webinar. 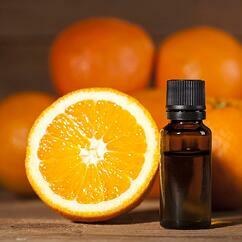 No need to shy away...chemistry is fun when it’s with essential oils!) We’ll talk about what makes these two Lavenders similar, what makes them different, and how to use each oil to support your health and vitality! Have you ever thought about becoming a Certified Aromatherapist so you could answer these questions and more with confidence, improve your understanding of how essential oils work, and help others live healthier lives? I hear from a lot of people who are curious about what’s involved in truly becoming an expert and earning their Aromatherapy Certification. So I created a FREE webinar that answers the most common questions. I was inspired to create the webinar “How to Become a Certified Aromatherapist” by my students at Aromahead. I received so many questions about Aromatherapy Certification that I decided to create an online event to provide answers to everyone. On the webinar, I made sure to set aside some special time to answer every question during a Q&A session. The webinar lasts an hour and 15 minutes, and the Q&A session usually last another full hour. If you attend the webinar, you can feel assured I will answer your questions. Have I sparked your interest in the “How to Become a Certified Aromatherapist” webinar? I hope so! We’re holding the webinar at different dates and times so everyone has a chance to attend. We’ve already done several, but there are still a few times left that you can register for. Click here to see the remaining webinar dates and times...and claim your place before attendance is filled up! I’ve seen the way an in-depth Aromatherapy education gives people a solid foundation on which to build their careers, and it’s very inspiring. Aromahead Institute graduates have started their own product lines and consulting businesses, have written books and blogs, have spoken at conferences, and so much more. Aromatherapy Certification is a statement to their clients, customers, readers, students, and the entire Aromatherapy community, that they have put time and effort into understanding essential oils in depth. "I attended one of Andrea’s webinars and my gut told me to enroll in the Aromatherapy Certification Program (ACP). I signed up immediately. "In midst of Lesson 1 of my class, I realized that there was so much more to Aromatherapy than I even knew existed. I never understood the chemistry behind the oils. I never knew there were different chemotypes of the same oil. I just thought Rosemary was Rosemary….I dove deeply into my ACP studies in Aromahead. Every lesson was saturated with pertinent information. The webinars made me laugh (Andrea and Cindy will crack you up!). Any question I asked received a fast response via email or the Aromahead Forum….I get asked a lot where I received my certification. When I reply “Aromahead,” people know it is an education that can be trusted. Andrea’s reputation is one of kindness, knowledge, and generosity. I am proud to say I am an Aromahead graduate." So inspiring! Here are a few other graduate stories you might want to read. Do any of them sound like where you envision yourself as a Certified Aromatherapist? “I love to be part of a community from all over the world ready to share their knowledge...The ACP material is very well organized...and I enjoy the videos, and the enthusiasm and total availability of Andrea and her team for any questions and support.” Read more about Nuria! “The concept of Aromahead is something that I did not even dare to believe I could find: a school where you can virtually hug your teacher and you will learn not only that essential oils have energetic properties, but also...what the essential oil components are and how they can help us with emotions and ailments—all based on scientific research.” Read more about Corina! Would you like to see how the online class looks from the inside—how it is designed and how simple it is to use? I will show you on the “How to Become a Certified Aromatherapist” webinar! 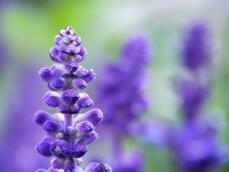 You’ll get an exclusive “inside look” at the online Aromatherapy Certification Program. I’m having such a good time connecting with everyone on the webinar! I hope you can join us! Click here to claim your spot at one of the remaining free webinars. 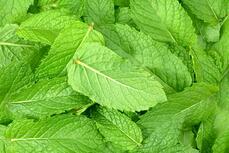 In this video, I’ll show you three ways to use Peppermint essential oil (Mentha x piperita), and Peppermint hydrosol. These are simple Aromatherapy recipes that you can make in less than 10 minutes, and then you have three amazing and refreshing blends to use! If you’re at all curious about Aromatherapy Certification, I hope you’ll join us on the webinar. It’s always a lot of fun!